I’ll take ANY excuse to talk about Chance and Kona – especially National Dog Day! It’s coming up on August 26th so be prepared for some cute new Waken pet photos. 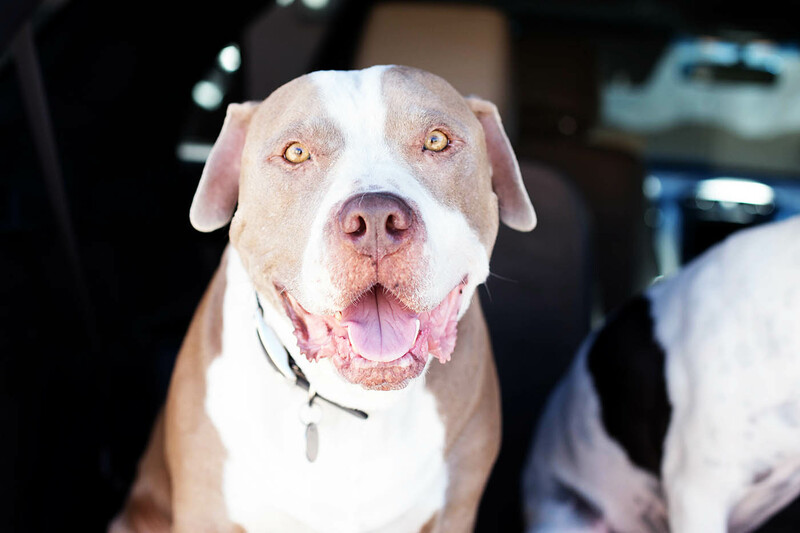 Autotrader loves dogs almost as much as me and has created a ton of great content for Dog Day including pet-friendly cars, accessories and safety tips for dog owners! They’re also releasing a limited time only “New Dog Smell” car freshener that will help support the Humane Society (hysterical). Back to Chance and Kona. We love traveling with the pups whenever we can. They LOVE going with us to grandma’s in California, hiking up north, or even going on an epic RV trip (which was almost 2 years ago now). They are definitely my favorite road trip companions for so many reasons. They let me pick the music/podcast/audio book. They are ALWAYS in a good mood even if we leave at 5am and I’m not as chipper as usual. They never complain about who’s looking out their window. Their luggage takes up barely any room. They never complain if we make too many rest stops (they don’t complain if we don’t either). They never fight over the rear air control. They make almost no noise at all when we’re in the car. They’re just happy to be there. They don’t eat my road trip snacks. They can’t wait to meet anyone new. They are always smiling. Unless they’re sleeping. Seriously though, when we bought our Ford Explorer one of the things we thought about was where the dogs would sit, how we’d pack up for a road trip etc. I didn’t want a huge vehicle but we wanted to be able to tow a small camper, have 4 wheel drive, have bucket seats for the boys, have plenty of room in the back for the dogs or the dog crate, and have a 3rd row for friends when needed. That was a lot to ask and this ended up being the perfect choice for us in our price range. Score! 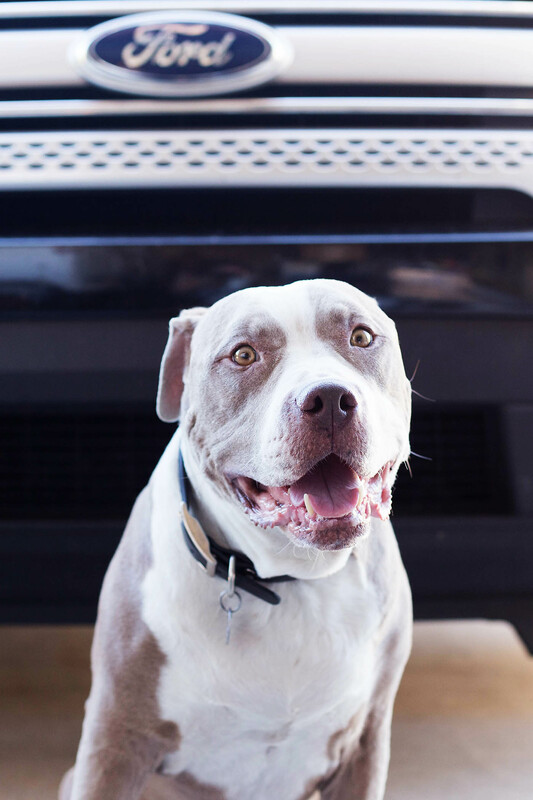 If you’re thinking of getting a new (or new to you) vehicle check out all the tips and dog-friendly vehicles Autotrader has in their Dog Day content. Our SUV isn’t on the list but I have been eyeing the Volskwagen Atlas. If I were to add a tip to their list, my favorite travel tip is to pack up their food in portioned out bags (you can even label each with the day/meal time) so whoever is feeding them knows exactly how much they need. Autotrader will be releasing a limited time only “New Dog Smell” car freshener later this month to remind you of that first ride home with your fur baby. I am SO curious to see what they think this smells like lol! For every order made, they will give an in-kind donation to the Humane Society to help support adoption efforts at shelters nationwide. Check out Autotrader.com/DogDay for all the details. Happy Dog Day from me, Chance, and Kona!